How is Android App Development the Most Beneficial? Let’s find out the answer to this question. These days, mobiles have become the mainstay device in society, and are evolving immensely. For these advanced computing devices, mobile apps have come into existence. Mobile applications are made using the most compelling and dynamic mobile platforms accessible today. These platforms include Symbian, Android, Windows, Blackberry, and iOS. Nevertheless, Google Android is growing with exceptional speed. We all know that Android is a mobile operating system by Google. It is based on the Linux kernel, designed fundamentally for mobile devices. Adding more, Google has launched Android TV for televisions, Android Wear for wrist watches and Android Auto for cars. Android is successful among tech firms that require a fast, low-cost and customizable operating system for high-tech devices. Not many of you know about its open source nature. 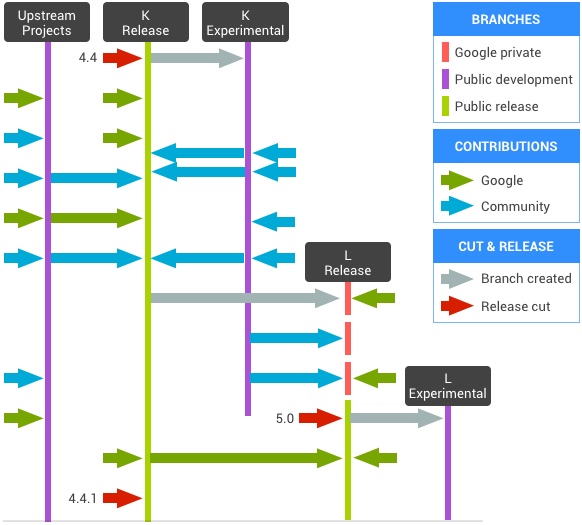 Google released Android’s source code under an open source license. Android has an extensive user base and has simplified mobile app development process. Enterprises leverage Android and create custom mobile apps that solve customer problems and increase value for their business. With the open source and affordability features, Android has now become the choice of mobile App developers worldwide. If we go on to understand the benefits of Android development, Android applications are helpful in growing the business with comparatively fewer investments and is always the top preference for businesses. To distribute the product the one-time fee, developers have to pay is $25 as registration for a Google Play Developer Console Account. And later, any computer can be used to develop an application and test it with their smartphones. The open source nature of Android has to be the most prominent advantage, which means the source code of the Development Kit (SDK) is entirely available for amendments as per the requirement of the developer. Developers can directly interact with the community. They have access to the best technology framework which results in faster development of applications and brings better opportunities for the app developers to earn more. Android supports Inter-Application Integration in which two different software can connect. This makes the Android platform attractive for handset manufacturers & wireless operators, resulting in faster development of Android-based phones. Inner apps integration is a supreme task which needs a proper platform and Android is a place that provides simple inter-app integration by offering multiple flexible tools. Business can integrate with each other and get linked through simple apps and benefit by connecting with the branches and members so that all the information can get transferred and updated quickly. The advance integration feature provides better connectivity and interaction between the departments. Android apps also allow customization as per the requirements of the organization. Businesses can also easily integrate their app with the existing system, to cater the needs of the company. The Android app approval process is a lot more tender. The overall approval process takes a few hours. A team of experts reviews the submitted apps using automated tools. The primary focus of the team is to figure out violations in the app such as the appearance of malware or spyware, copyright violations and the insertion of sexually explicit content. The first round is of machine review and once done it goes to the second team of reviewers, who review the apps manually (the human study). Unlike iOS developers, Android developers enjoy much freedom on the general content of their apps. Developers can readily accept the policy and enter the Android market with their application, and the process is equivalent for startups and the existing App development companies. 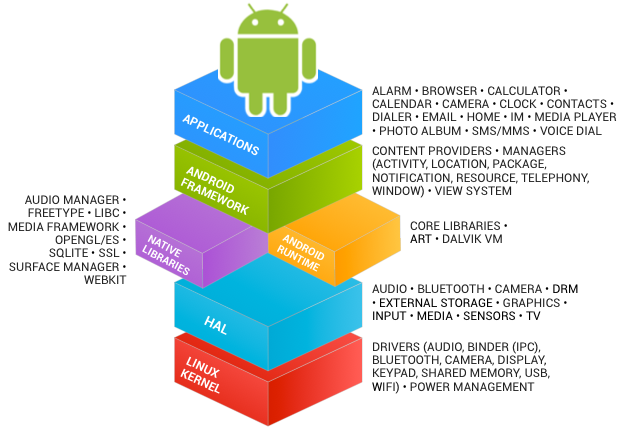 Android Applications are developed in Java language which is highly rich in libraries. It is quite easy and convenient for Java coders to build an Android App as compared to other language developers. It’s very beneficial for Java developers to transit the code script into a mobile application, and can also implement android application development services in the app. In android the primary prerequisite, to develop an app is the high knowledge of core Java so that the script can be converted into a highly interactive app. Therefore, developers need to have good command in Core Java for Android, and with least efforts, they can develop any application. During the period when the Android market was becoming popular, a lot of Android mobile devices were affected by hackers. Overly concerned Google fixed this significant security issue and made Android a highly secure platform. An address space layout was added that protects the operating system from malware and it became difficult for hackers to find the exact location of data and significant code. Google further started sending out a cyclic notification to the user to change their smartphone’s setting. With this, all the passwords were changing continuously, and the data remained secure. With address space layout android has now become one of the safest mobile platforms in the market. Since now you know the benefits of android app development you can go ahead to build one. In case you are looking for an Android app development company you can get in touch with us. With over nine years of experience, 1500+ apps built and TechAhead is one of the best mobile app development company in the world. Come March – What will the Samsung Galaxy S6 Bring?